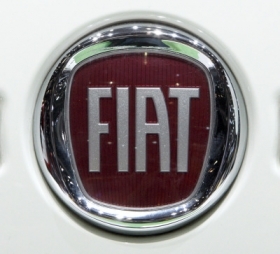 Fiat S.p.A. and Italian trade unions, with the exception of left-leaning Fiom, will sign a deal on Thursday to relaunch the group's main carmaking plant in Italy as a joint venture with Chrysler Group, a source close to the talks said. Fiat and Chrysler plan to to build Alfa Romeo and Jeep SUVs for European and North American sales in Fiat's Mirafiori factory in Turin in exchange for more labor flexibility at the plant. The factory would produce the mid-sized Giulia sedan and station wagon, which will replace Alfa's 159 range, as well as medium SUVs for the Alfa and Jeep brands. Half of the production will be sold in Europe and the other half will be exported, mainly to North America. The Alfa models are a crucial part of the brand's relaunch in North America. Fiat plans to invest more than 1 billion euros ($1.3 billion) in Mirafiori on condition that unions agreed to more flexible shifts. A source close to the talks told Reuters news agency on Wednesday that all main unions were ready to sign the labor deal with Fiat on Thursday after having cleared a major hurdle on the application of the national contract. "We hope to be able to sign between tomorrow and the day after tomorrow," said Bruno Vitali, secretary general of moderate union Fim-Cisl, adding that a workers' referendum on the deal was likely to take place. Vitali said Fiat and the unions still needed to clear some wrinkles on matters such as absenteeism and working hours. Fiat's plan for Mirafiori, the group's oldest car factory, involves setting up a joint venture with Chrysler, in which Fiat has a 20 percent stake, to make up to 280,000 vehicles a year, with new Jeep and Alfa Romeo cars and SUV models to be launched by the fourth quarter of 2012. The plan is vital for Mirafiori which will soon stop producing all models at the plant except for the Alfa Mito. Marchionne had to work hard to convince workers to back a landmark deal at Fiat's Pomigliano plant near Naples in June, which brought an increase in the number of shifts and a limit on strikes and benefits. A spokesman for Fiom said the union would join talks on Thursday, but was against a deal that mirrors that introduced at the Pomigliano plant, where a majority of workers eventually backed in a referendum a plan to curb some labor rights to avert potential closure. "We will join talks over the contract (at Mirafiori)," a spokesman for Fiom said. "We will see what Fiat says. We don't want a contract like the one agreed for Pomigliano."